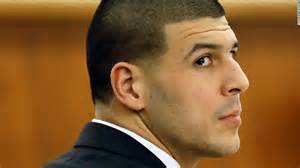 Aaron Hernandez, the former New England Patriots tight end who was serving a life sentence for murder without the possibility of parole, hanged himself in his prison cell early Wednesday morning, Massachusetts Department of Corrections officials say. Officers at the Souza Baranowski Correctional Center in Shirley, Mass., found Hernandez, 27, hanging from a bedsheet at about 3:05 a.m. Wednesday. They attempted lifesaving techniques on the former Pro Bowl player and he was taken to UMass Memorial Health Alliance Hospital in Leominster, where he was pronounced dead. Christopher Fallon, the deputy commissioner of communications for the Massachusetts Department of Corrections, told The Post in an email that Hernandez, who was in a single cell in general population housing, attached the sheet to his cell window and tried to block his door by “jamming it with various items.” He added that Massachusetts State Police were present and an investigation is ongoing. Hernandez’s death ends a stunning fall from the golden life of a star athlete and comes on the day the Patriots visit the White House to celebrate their victory in Super Bowl LI. The team, which cut him only hours after his June 2013 arrest for the murder of Odin Lloyd. The murder of Lloyd occurred less than a year after Hernandez signed a seven-year, $40 million contract extension with the Patriots that included a $12.5 million bonus, the highest ever for a tight end. Oh well. At least he did us taxpayers a big favor by saving us all a bundle. Another reason why never to be a patriots fan….